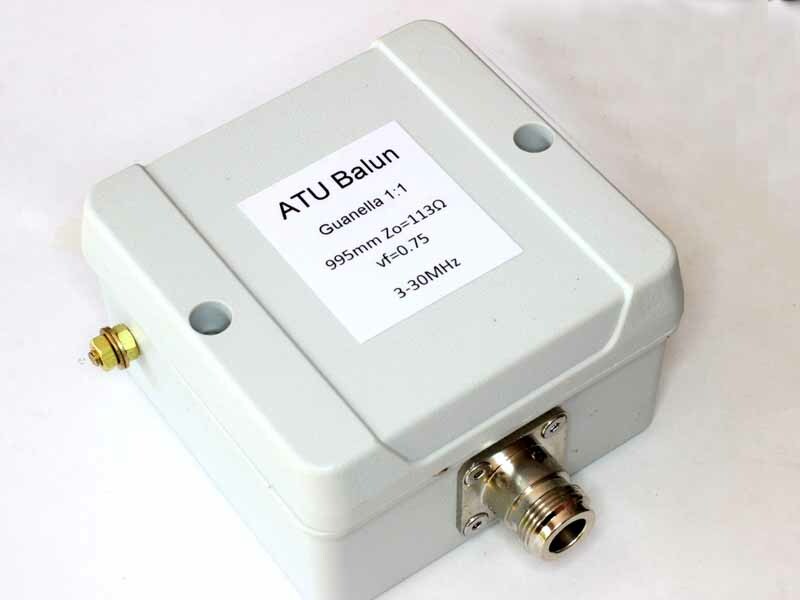 Fourth part in the series documenting the design and build of a Guanella 1:1 (current) balun for use on HF with wire antennas and an ATU. The prototype fits in a range of standard electrical boxes. The one featured here has a gasket seal (a weep hole would be advisable in a permanent outdoor installation). 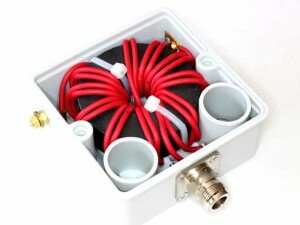 Above, the exterior of the package with M4 brass screw terminals each side for the open wire feed line, and an N(F) connector for the coax connection. 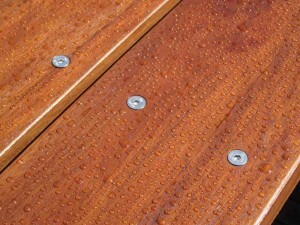 N type is chosen as it is waterproof when mated. The interior shows the layout. The wires use XLPE high temperature, high voltage withstand, moderate RF loss insulation. Two short pieces of 25mm electrical conduit serve to position the balun core against the opposite side of the box, and a piece of resilent packing between lid and core holds the assembly in place. Differently to the example shown in the earlier articles, this prototype uses twisted PTFE insulated wires which have voltage breakdown higher than the XLPE shown earlier. 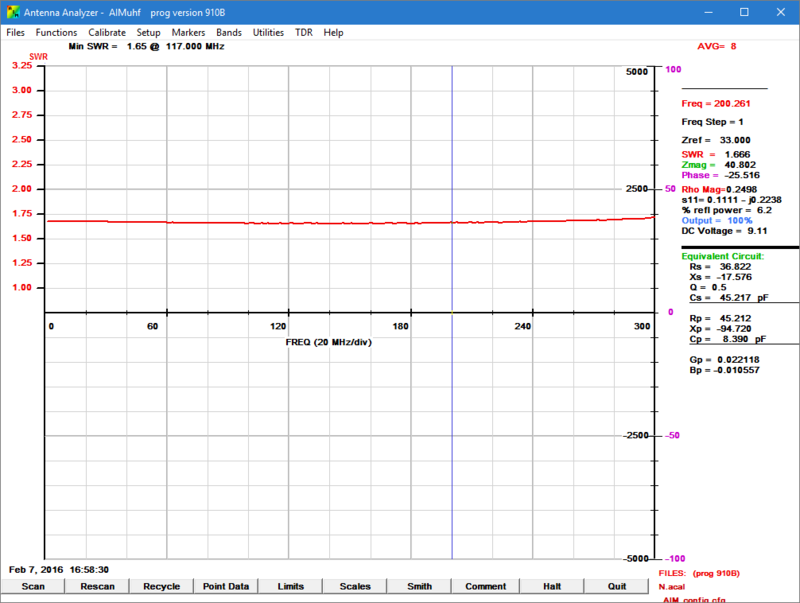 The self resonant frequency of the built balun was measured as 7.4MHz and the predictive model above calibrated. The balun has high choking impedance on the lower half of HF. 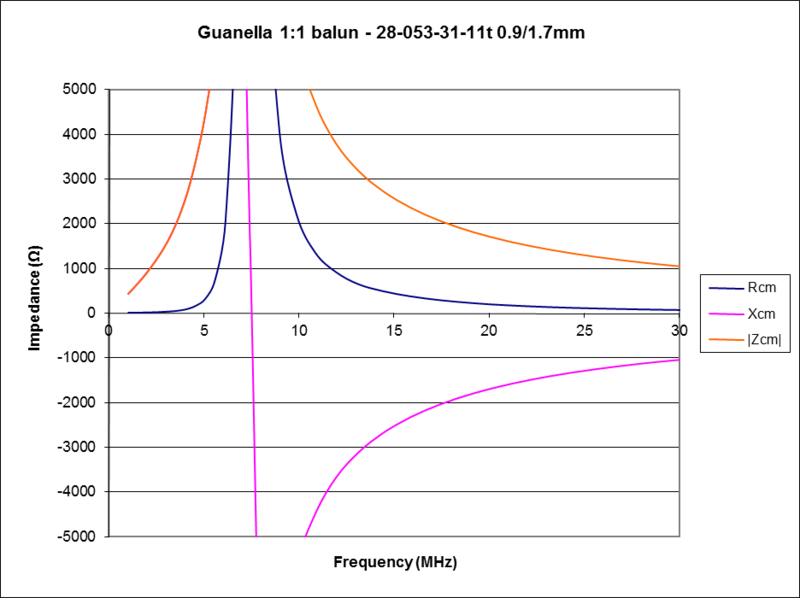 Next installment: Design / build project: Guanella 1:1 ‘tuner balun for HF’ – #5. A correspondent having read End fed matching – design review raised a similar design by PA3HHO which uses a#43 ferrite toroid as part of an end-fed matcher, see Multi band end-fed (English). 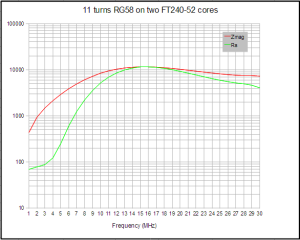 Further to End fed matching – PA3HHO design review , this article has a solution to PA3HHO’s “original 40/20/10 version” using FT140-43 with a 2t primary. 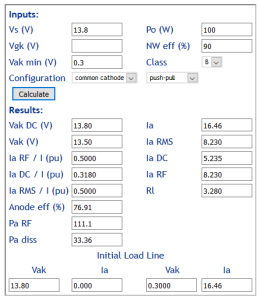 Calculate initial load line of valve RF amplifier was written as a companion to my RF power amplifier tube performance computer tool to provide a starting point for building a model, but as it turns out, the initial load line (and related values) is a very good estimate and further modelling may not be needed. Although written for an application to valves, it is quite applicable to any active device, keeping in mind that it assumes a linear transfer characteristic. The update provides for both single ended and push-pull configurations. For example, the requirement is for a single ended Class C bipolar amplifier to deliver 25W from a 13.8V DC supply. 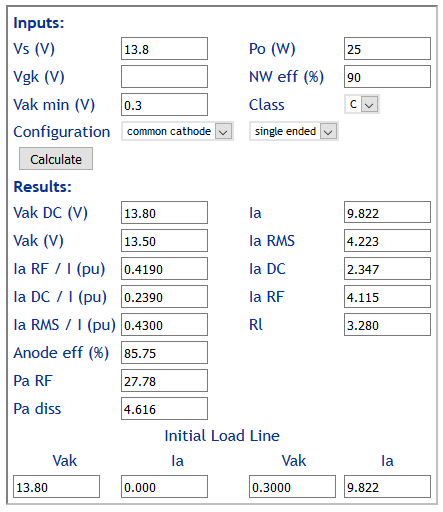 What is the ratio for a broadband output transformer to 50Ω. Above is the solution. 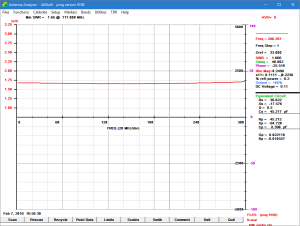 The required Rl is 3.3Ω, and the required turns ratio is (50/3.3)^0.5=3.9. a 1:4 (turns) transformer would be selected for a prototype. 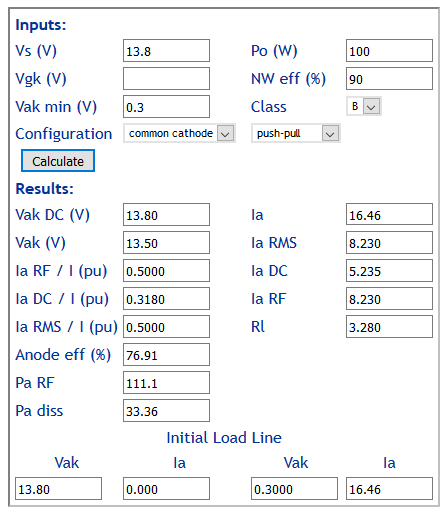 Bear in mind that output power would fall to around 20W at 12V DC supply. 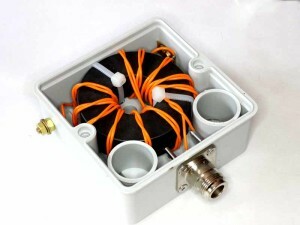 Another example is the common 100W 13.8V Class B push-pull design. With a requirement for around 3Ω collector to collector (or drain to drain), a transformer with 1:4 turns ratio would be selected. 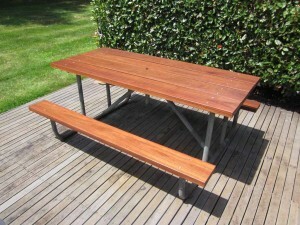 I made a couple of picnic tables about 35 years ago. The design was broadly inspired by picnic tables deployed by the ACT administration at the time (local government), it used a galvanised water pipe frame for table and integral seats and hardwood tops. I kept one of these tables, and the hardwood eventually degraded sufficiently to warrant replacement. Durable timber has become very expensive, and the choice limited. Red Ironbark (a eucalypt endemic to the forests south east of here), GOS (green off saw) and DAR (dressed all round) was chosen, and stacked in the shed for a couple of years to dry down to 10% moisture content. The timber was washed down, trimmed and edged, drilled and oiled (Organoil, a naturally drying oil mix), and fixed to the table with 304 stainless countersunk socket head M8 screws and nyloc nuts. Above, the refurbished table. Total mass is 125kg, about half of that is in the hardwood and the rest in the steel frame. The table will required replenishment of the oil finish every year, but should be a durable non-toxic lasting finish with that maintenance. 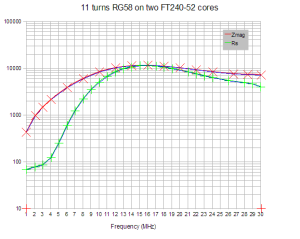 A correspondent wrote about Identifying ferrite materials asking how to use the method on an analyser that does not display X, but displays R and |Z|. The method described calls for making a winding of the least number of turns for which measurement can reasonably be made, and finding the lowest frequency where R=X. If your analyser does not display X (or |X|), you can exploit the relationship that |Z|=(R^2+X^2)^0.5. When R=X, |Z|=1.414R… so you would look for the lowest frequency where |Z|=1.414R. Having found that, compare it with the table given or datasheet graphs to find candidate mixes. A correspondent wrote with concern of the apparent difference between graphs produced by my #52 choke design tool with a graph published by G3TXQ of his measurement of 11t on a pair of stacked FT240-52 cores. 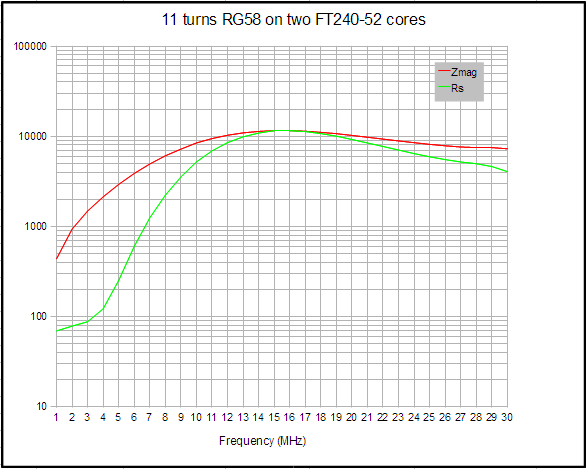 I published a note earlier about my concerns with a similar graph by G3TXQ compared to the Fairrite datasheet, and he reviewed the data, found the error and published a corrected graph. The corrected graph above might at first glance appear different to my model’s graphs, and the first obvious difference is that G3TXQ uses a log Y scale (which is less common). 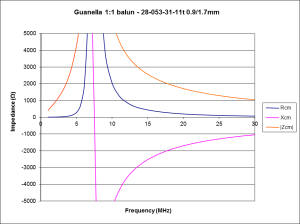 The effect of the log scale is to compress the variation and give the illusion perhaps that in comparison with other plots, this balun has a broader response. This Jan 2012 article has been copied from my VK1OD.net web site which is no longer online. It is for reference from other related articles. The article may contain links to articles on that site and which are no longer available. One often wants to identify the type of material used in a ferrite core for use at radio frequencies. This article captures advice that the author has offered in online fora stretching back more than a decade, yet it seems uncommon knowledge. 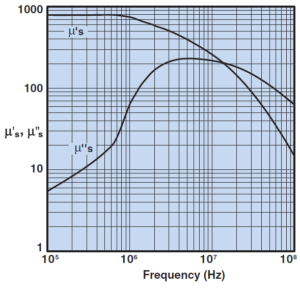 The most common method is to make some measurements to determine the initial permeability µi, usually at audio frequencies, and to compare that to a table of µi for common core materials. This method might well indicate several mixes that have similar µi, but each may be quite different at higher frequencies. 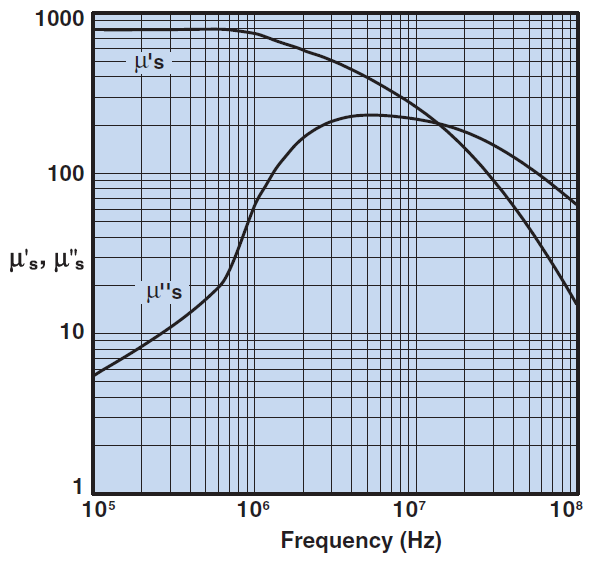 The suitability for use at RF usually depends much more on complex permeability at radio frequencies than it does on µi at say 10kHz.